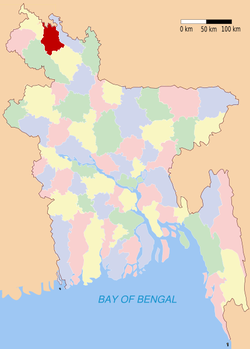 Nilphamari (Bengali: নীলফামারী জেলা) is a district in northern bengal of Bangladesh. It is part of the Rangpur Division. Wikimedia Commons has media related to Nilphamari District. This page was last changed on 28 February 2016, at 03:08.